Would you like to receive instant notification by text SMS if your vehicle has been moved (towed away, or “borrowed” by someone with your keys) or has been stolen? 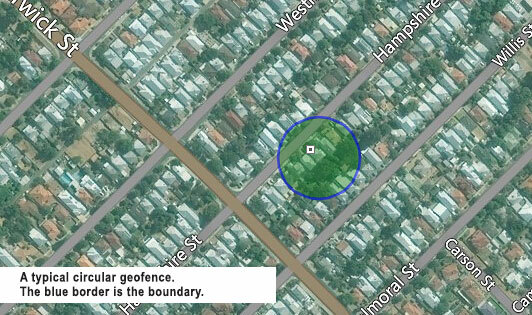 One way this can be achieved is through the use of “geofencing”. A “geofence” is a virtual area based on a central GPS location. Basically the vehicle owner “Sets” the boundary of the virtual area by pressing a button, or by drawing it on an online map (more on this later). The GPS tracker then “records” the GPS co-ordinate boundary and will send out a notification alert if the boundary is breached. For a company yard, depot, etc. You get the drift… anywhere your vehicle or asset may be parked, being operated, or stored. One of the automatic notification features with the fleetminder GPS trackers is via the use of the geofence function. You can use either the fleetminder Live Tracking system or the FREE fleetminder mobile app to create geofences around your vehicle or other asset (machinery, etc). The actual geofence is usually a circle circumference around a central GPS location (see below). This geofence was “drawn” on a map using the fleetminder “Live Tracking” software or can be set using the FREE fleetminder phone app. 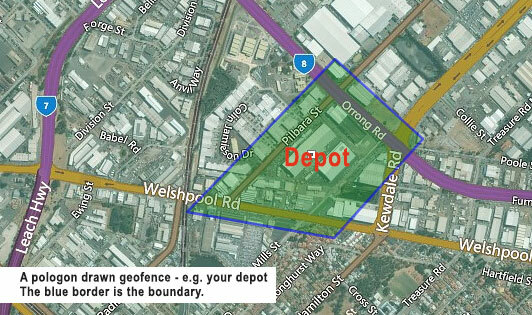 The centre point of the circle (geofence) would be where your vehicle or asset is parked or stored. Or a geofence can be “drawn” as a polygon shape on the fleetminder Live Tracking system map (see below). a) Zoom and move to the location on the map where you want to set a geofence. 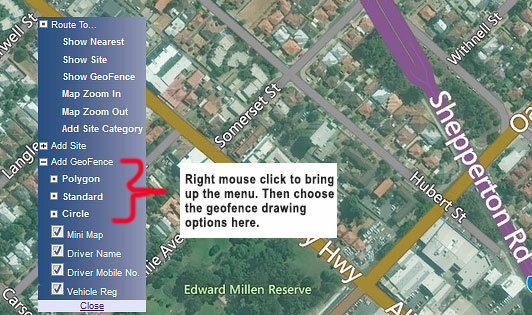 d) Left mouse click on the preferred geofence shape (Polygon, Standard or Circle). e) Draw the geofence shape. You may need to try a few times to get the hang of it and to get the geofence in the right spot. g) Set the notification alerts both email and SMS text. h) Go to the main menu at the top and click on Setup, choose “Assign Geofences / Sites” then assign the geofence to your tracker or GPS trackers. b) Press the “SET HOME GEOFENCE’ or the “SET CURRENT LOCATION GEOFENCE” to set the geofence location. c) Press the “GEOFENCE ON” button for either the Home or Current Location geofence. *** Don’t forget that you have to accept to send the SMS text command to the GPS tracking device (tracker) for these commands to work. Geofencing is a good way to setup automatic notification alerts if your vehicle or asset has been moved. This automatic notification will aid in the quick recovery of your valuable asset rather than you finding our later (even days later) that it has been taken. 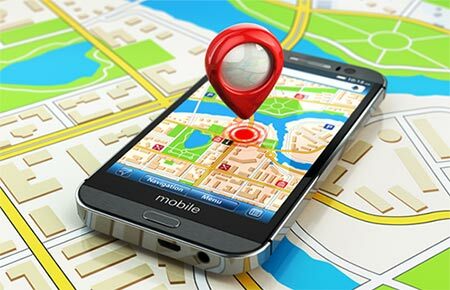 Geofencing is an important and crucial feature in asset protection and comes as a free tool with all fleetminder tracking devices.